The Jr Steelers Hockey Program uses the game of hockey to develop respectful and responsible athletes that compete with a will to win. The Jr Steelers program will give players experiences that build their foundation of discipline, leadership and team work. Throughout the course of the Spring Season players are able to build lifelong relationships with teammates that share the same passion for the game of Hockey. The Jr Steelers have 17 teams this year involved in spring hockey training. Our youngest team is in the 20010 age group and our oldest is in the 2001 age group. Every Jr Steelers team places their team in tournaments that are best suited for their specific age group and development. Teams have the opportunity to travel and exceed the normal ice times and tournaments provided by the Jr Steelers program. 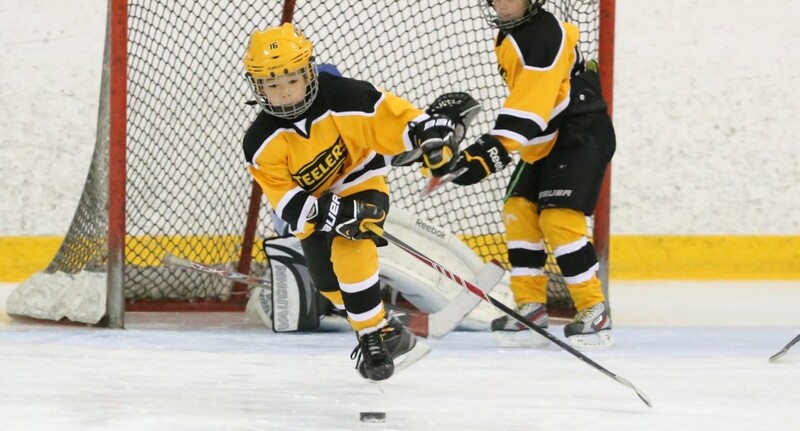 The Jr Steelers Spring Hockey Program has been running since 2006. The program has both AAA and AA teams in multiple age groups. Teams practice two to three times weekly and participate in a tournaments each month in the spring. There are no early morning ice times and players are encouraged to play other sports while participating on our teams. The Jr Steelers Spring program has grown by multiple teams each year and is one of the longest running spring programs in the Lower Mainland. Our players go on to compete at the highest levels of Minor Hockey and Junior Hockey. Our program is based on the philosophy that our players must be great students, great citizens to become great athletes. The Jr Steelers program is proudly associated with the Grandview Steelers Jr Hockey Club. The Grandview Steelers do an amazing job supporting youth hockey in the Lower Mainland. We take great pride in being able to use their artwork and branding on our uniforms and apparel. We hope every player has an opportunity to make it out to a Grandview hockey game and cheer them on.